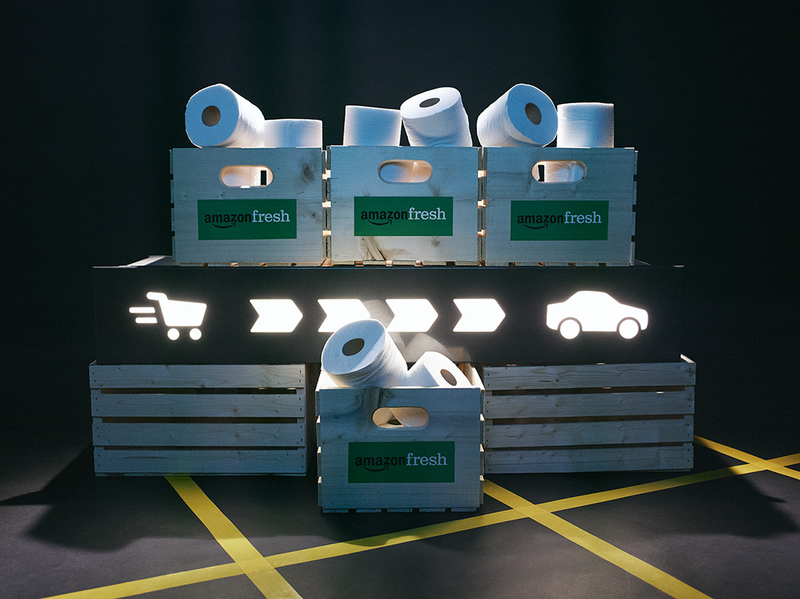 MistyWest was subcontracted to develop a prototype for AmazonFresh’s new rapid grocery pickup service. This entailed designing a unit according to the client’s existing Industrial Design Volume, in addition to being resistant to the variables of outdoor climate, and meeting requirements of UL certification. AmazonFresh, a subsidiary of Amazon and only available to Prime members in the US, offers same-day and next-day home delivery of groceries and select items from Amazon storefront. At the start of this project, the delivery service had existed for roughly a decade and operates in several states; it was only natural that Amazon would want to expand their service to grocery pickup as well. 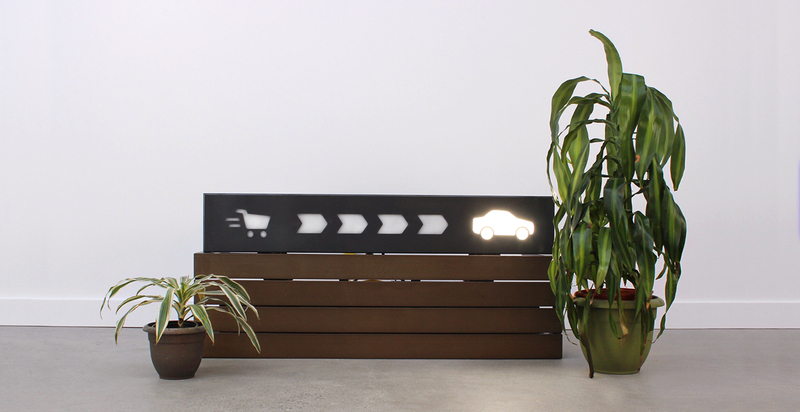 MistyWest was subcontracted by an industrial design firm who had been signed on by AmazonFresh to provide engineering and fabrication services in developing an LED panel, Near-To-Car Progress Indicator. This Indicator would inform customers at the pickup location the status of their order, from packing to dispatching to vehicles. MistyWest had to integrate an Industrial Design Volume that had been set by the industrial design firm, as well as its suggested iconography, and were responsible for part sourcing for the project; this included finding suitable LEDs and selecting colours and finishes of all external parts. 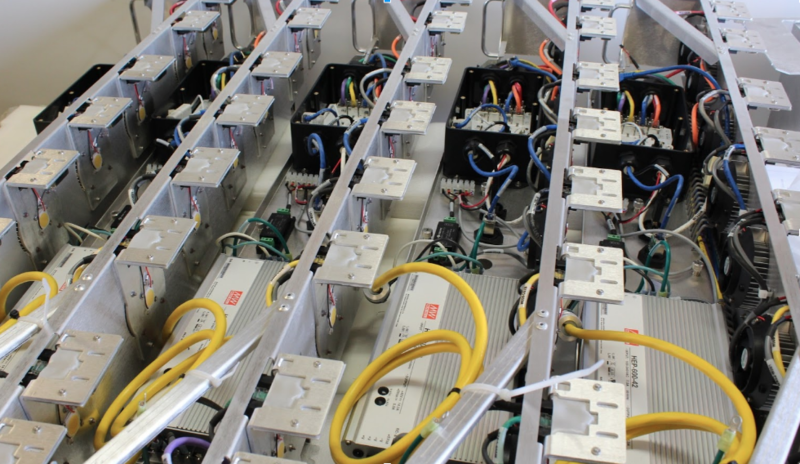 Our biggest challenge would be creating a prototype that is able to hold up to outdoor light conditions and fluctuations in temperature and weather, with a cooling system and appropriate sealing that will prevent electrical failure; all while complying with UL, CSA, CE and FCC standards. Once the project was underway, the design intent shifted to a more compact enclosure for use at a comfortable eye-level for car occupants waiting to pickup their orders. MistyWest was responsible for miniaturizing the existing prototype, bringing forth the challenge of reviewing technology and conducting preliminary redesigns to ensure the Progress Indicator sub-system will fit in a smaller enclosure. Power consumption, thermal requirements and consolidation of the electronics were all taken into consideration. The project was successfully completed and shipped on schedule, with all goals of the client having been met. Amazon Fresh has been rolling out their grocery pickup services at several locations in Seattle, WA since 2017.